18-year-old Foster is another one that has shown his massive potential for the Belfast-based side this season, and his 10 overs were the highlight of the first innings. The experience of playing a season of Premier League cricket and spending time on the pitch with the likes of Malan will help his progression massively. 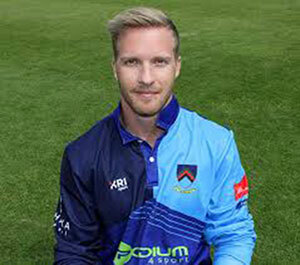 Matthew McCord, who has recently made his first-class debut for the Northern Knights, opened the bowling and was unlucky to not have Marc Ellison caught second ball after he was put down in the slips. Malan has had a brilliant debut season in the NCU with both bat and ball, scoring 819 runs this season before walking to the crease, combining with the 39 wickets he has collected. He was always going to be the vital wicket for Carrick to secure, but the South African continued in the same vein that he has all season, leading the innings. He was caught for a fantastic 104, but Chris McMorran saw the team home with the help of Topping, who was caught for 47 trying to end the match in style.